What I want is that as a result of my ajax call, if I get 1 or 4 as response from the contoller, the current page/view should be reloaded and ajax should stop firing, otherwise the same ajax should be re-fired after every 5 seconds until I get 1 or 4 as a response from the contoller.... Thankfully, Fibers doesn’t really make asynchronous code synchronous. It just lets us write code in a synchronous style , with synchronous control flow . To test this out, try curl ing your Node.js app in rapid succession from different terminal tabs. However in case of Synchronous AJAX request, the request is sent to the server and the client waits for the server’s response before it executes the script further. So this is the special case when the further script is dependent on the results returned by the server. My alternative to synchronous ajax calls would be continuous ajax calls through a setInterval function, which massively increases server load and bandwidth. You can't make the argument that an ajax call every N seconds is better than one when someone exits the page. You just can't. Introduction. 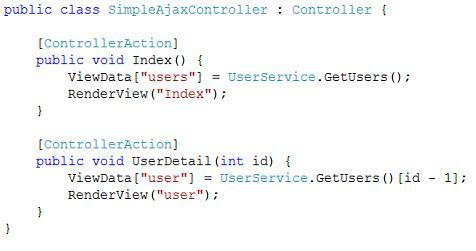 Normally, Ajax call works in an asynchronous way. Whenever the call is invoked from the view in MVC OR from .aspx in case of webforms, the execution of the Ajax call continues in the background irrespective of the execution in view OR .aspx file.